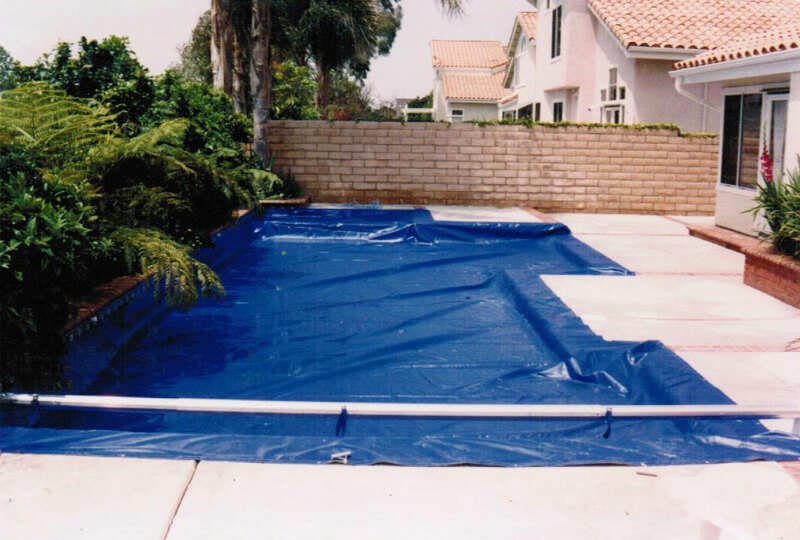 Aqua-Safe Unlimited offers many options for pool cover installations — whether your pool is new or existing, rectangular or freeform, concrete or vinyl-liner or fiberglass. 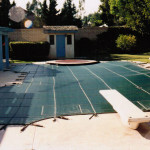 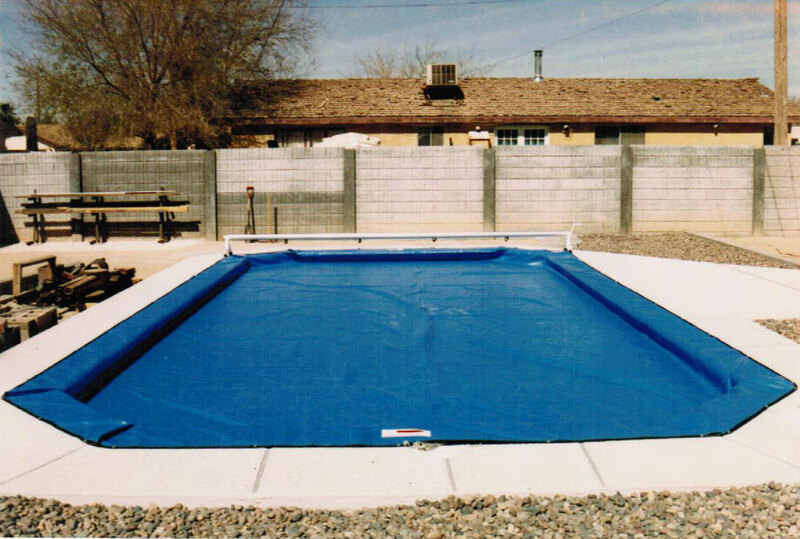 The unique component track accessories make it possible for your pool to benefit from a Cover-Pools pool cover. 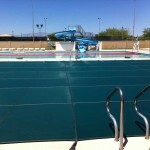 The mechanism can be housed in an enclosure recessed below the deck surface. 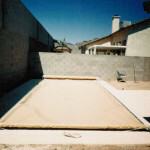 This option works best if chosen before construction. 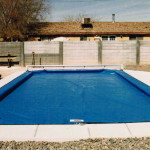 However, if there is room to cut into the deck of an existing pool, the mechanism can still be recessed. 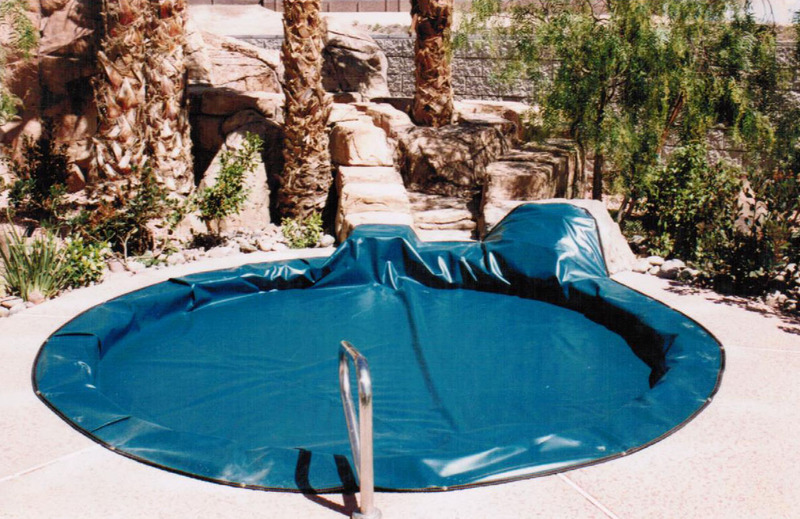 Cover-Pools offers many lid options for covering a recessed mechanism: Vanishing Lids™, Bezel™ step-on lids, and our standard aluminum lids. 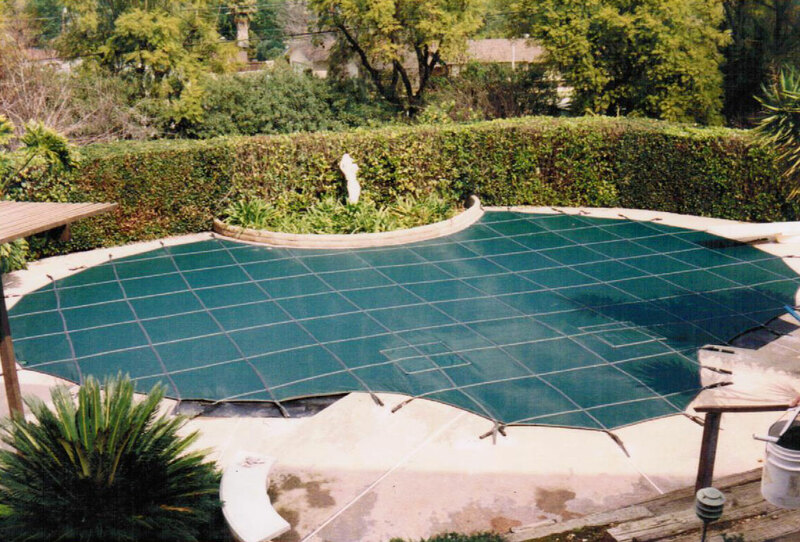 You might also consider the extended lid option, which allows the leading edge of the retracted cover to be hidden. 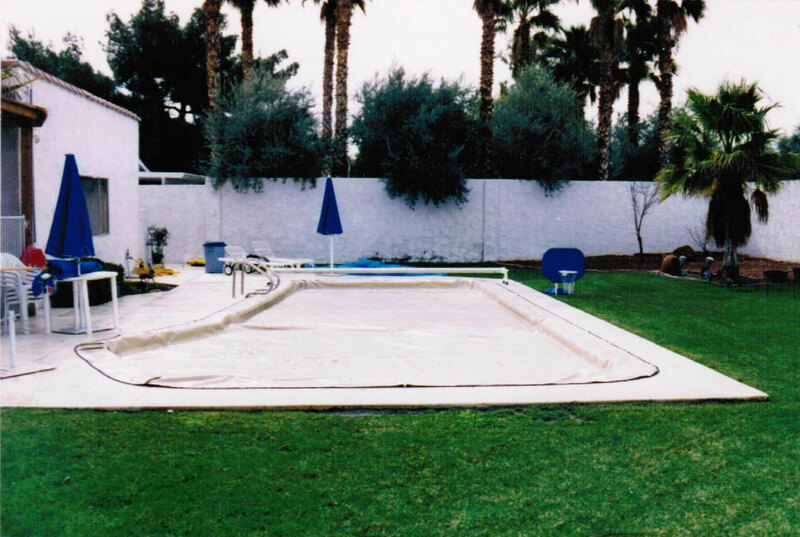 When the mechanism is mounted on the deck surface, it can be covered simply with our fiberglass ends or with an attractive housing such as the Everlast™ bench. 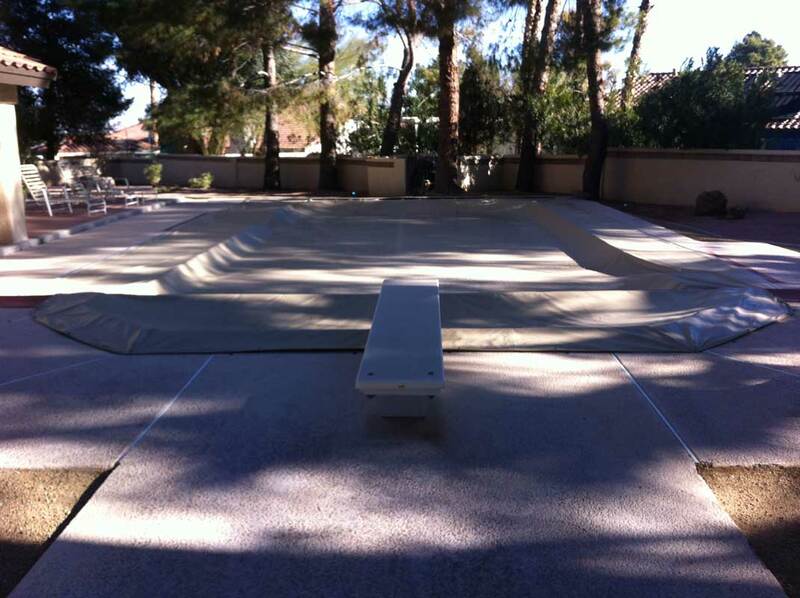 Custom benches can be supplied locally by your dealer or an independent contractor. 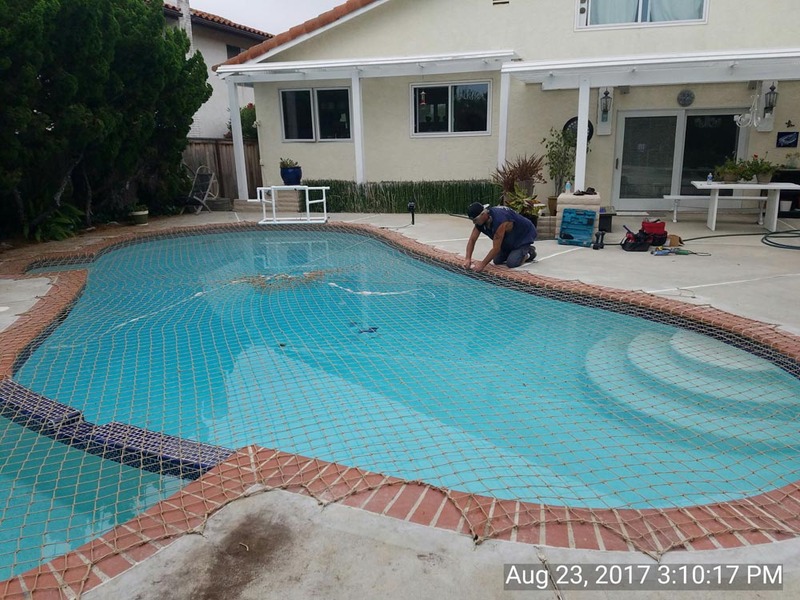 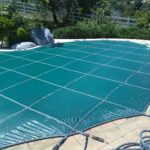 Our standard turn-handle system makes removal of the pool cover on a standard-sized pool a less strenuous task than “anchor” type covers. 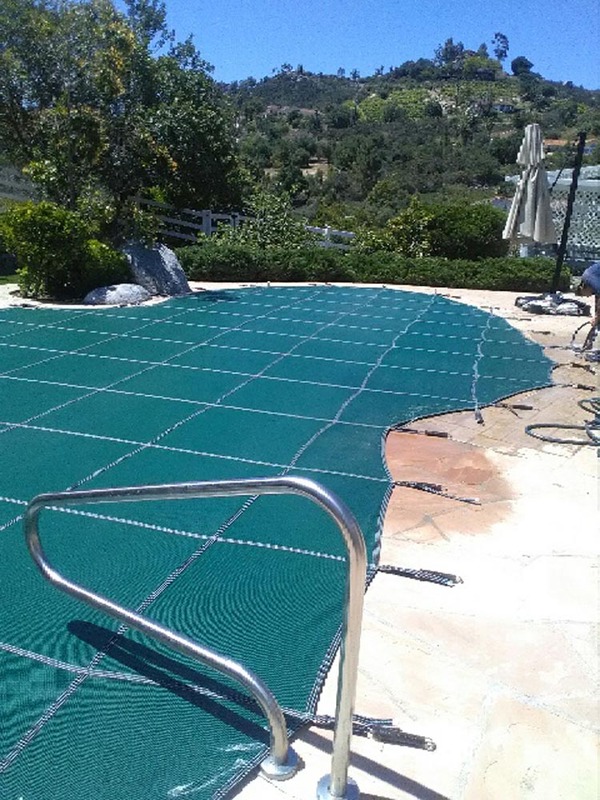 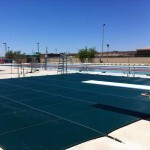 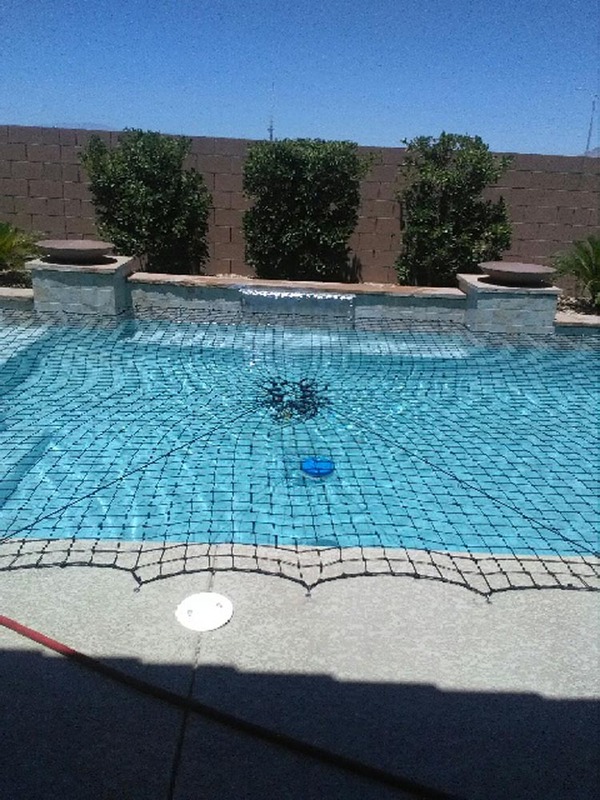 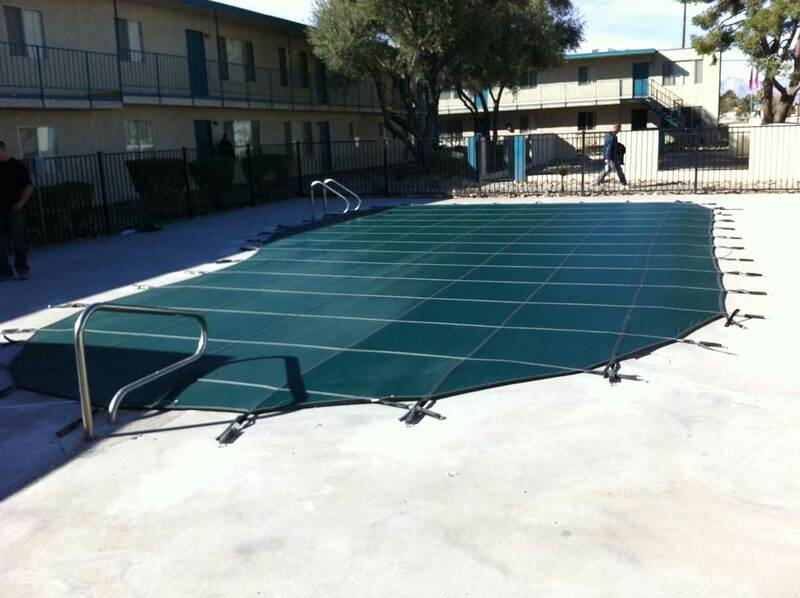 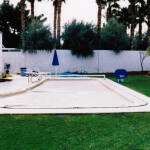 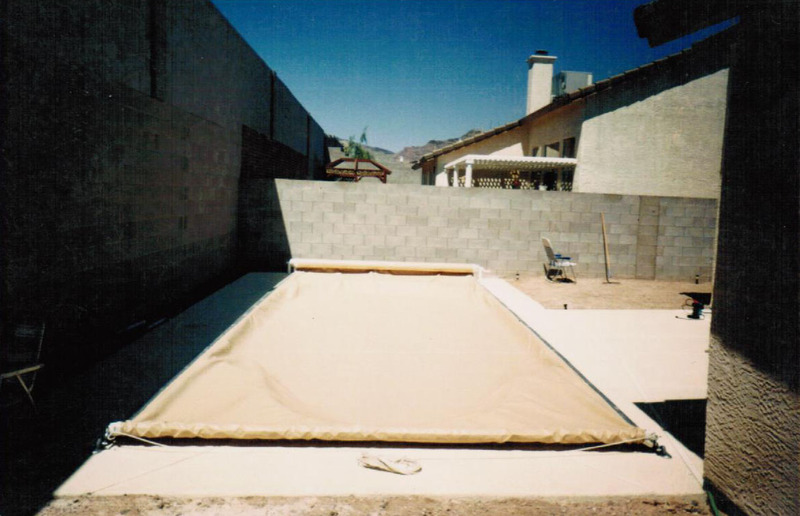 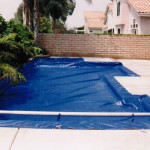 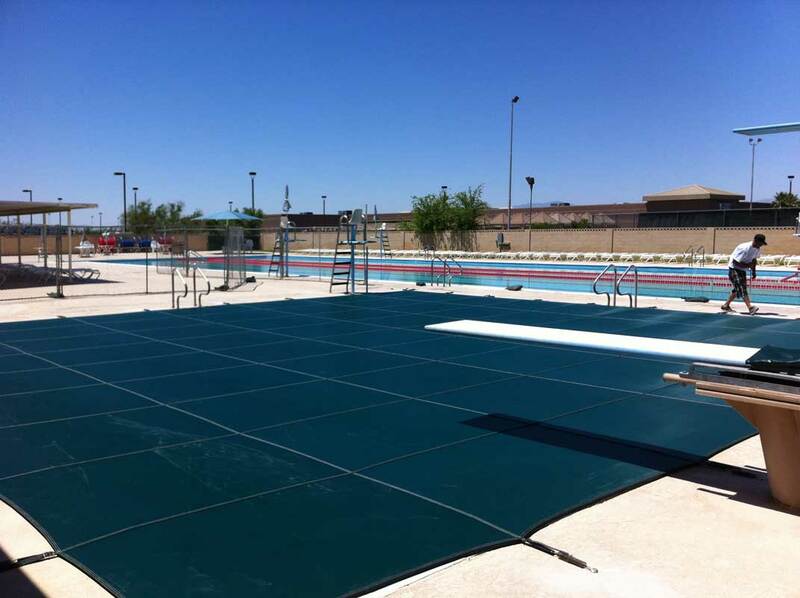 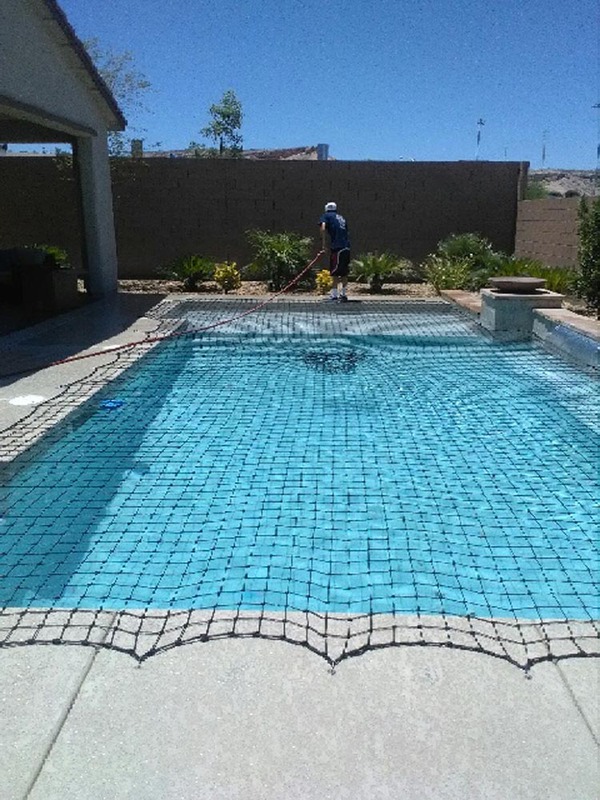 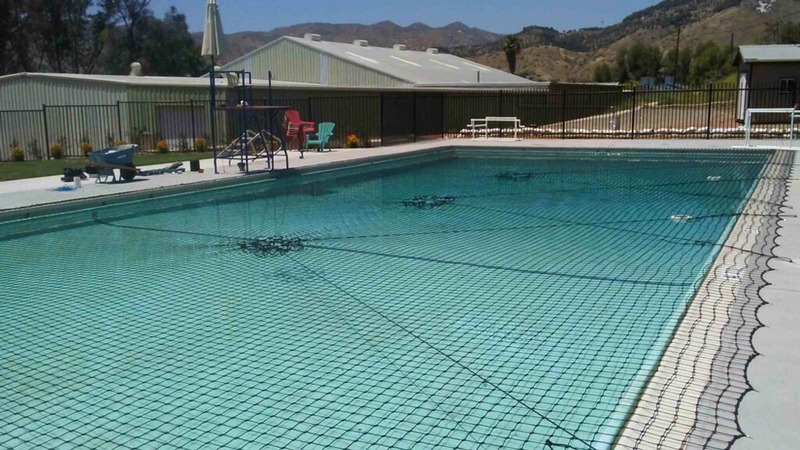 Most manual pool covers require two people to place the cover on or take the cover off the pool, but in some instances one person can operate the Step-Saver system. 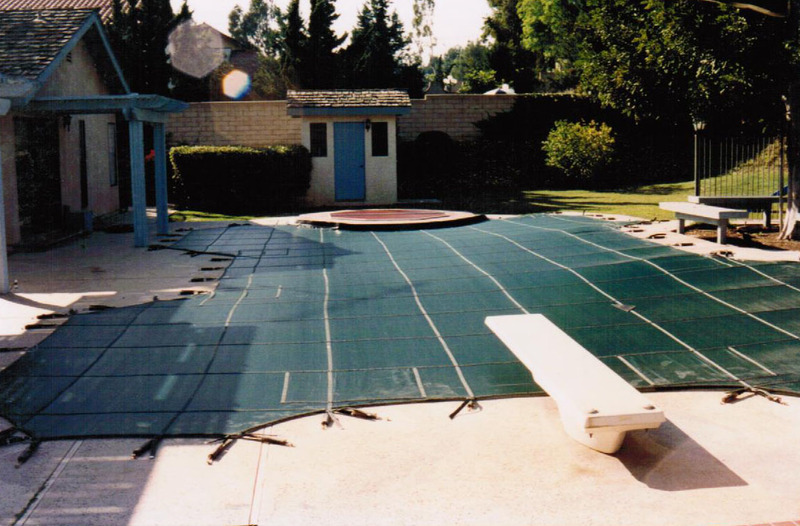 If at a later date you decide you’d like to upgrade your system to an automatic cover, you can use your existing track and add power with a Save-T 3 motor and mechanism. 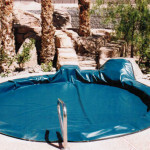 Cover-Pools exclusive Quad-Core™ fabric is the product of 50 years of research and experience. 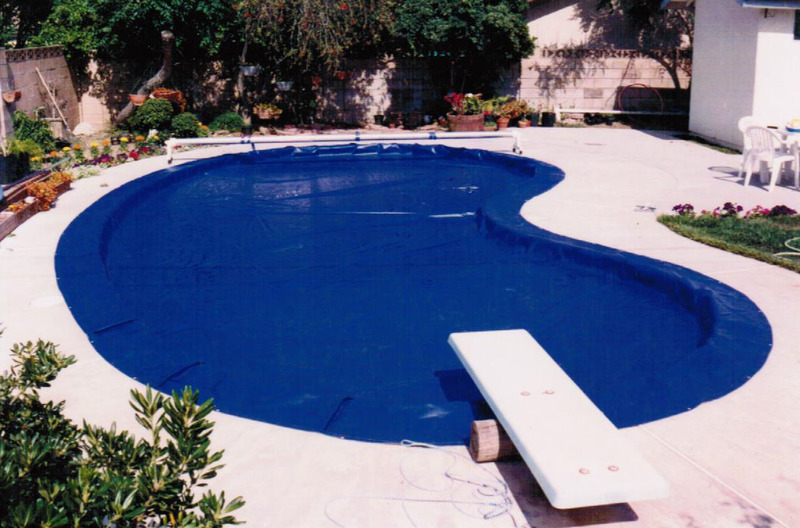 Reinforced with a strong polyester mesh for strength and tear resistance, this high-performance vinyl-resin formula provides maximum durability in the swimming pool environment. 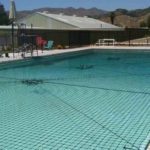 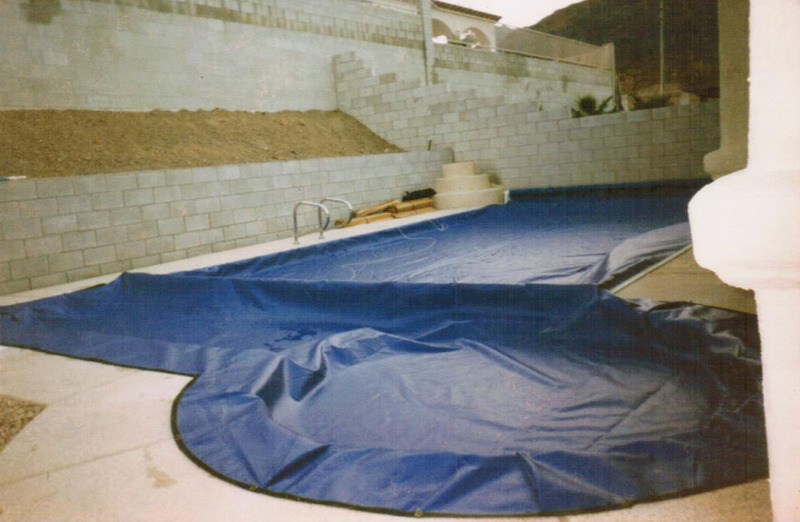 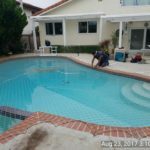 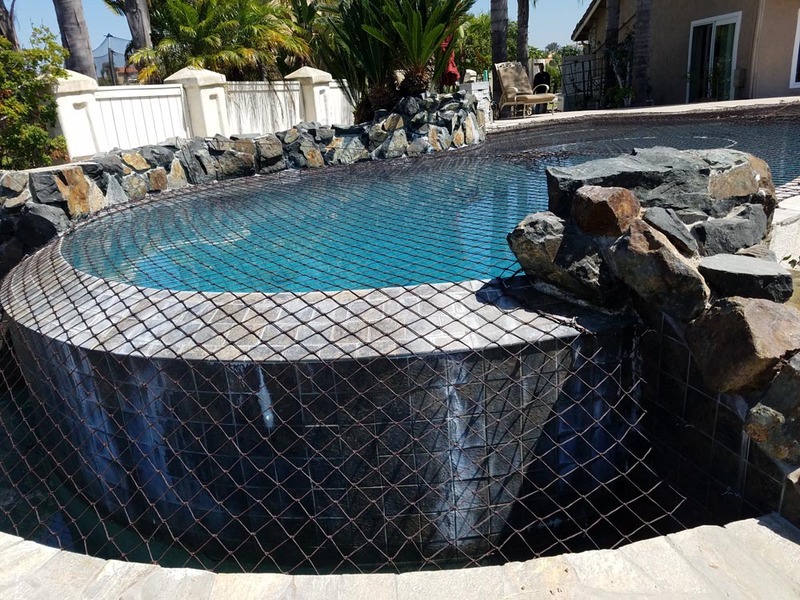 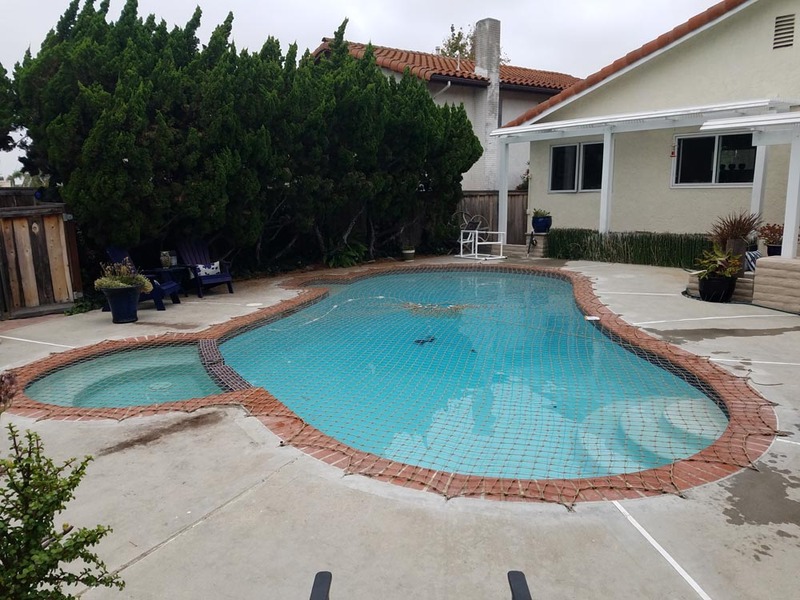 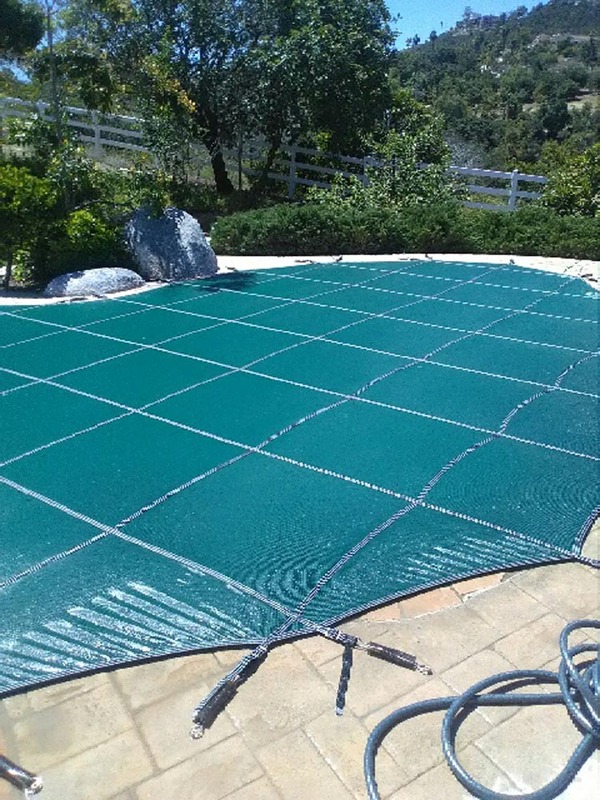 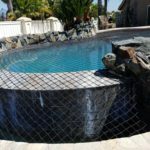 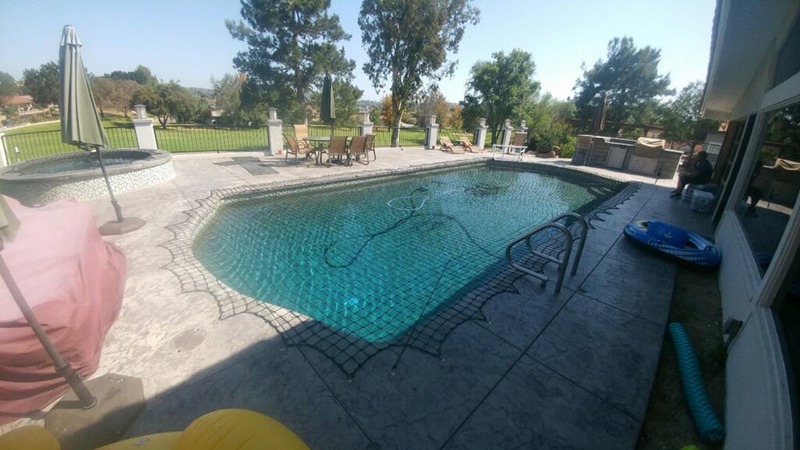 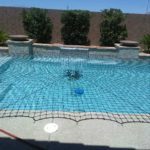 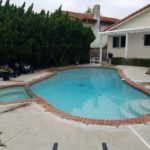 Cover-Pools and Herculite Products developed an exclusive pool cover formula with over 20 years of experience that is superior to all other cover fabric for a pool environment. 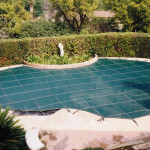 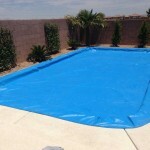 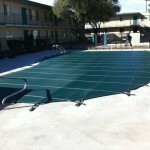 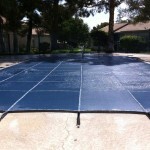 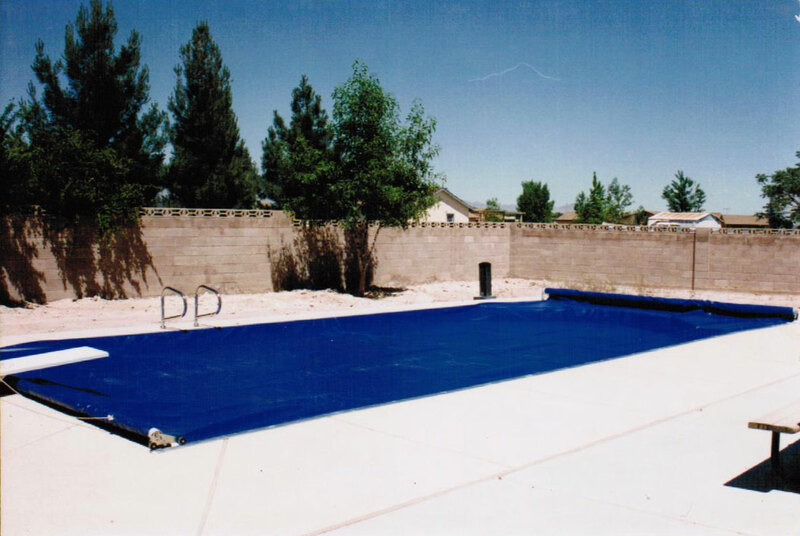 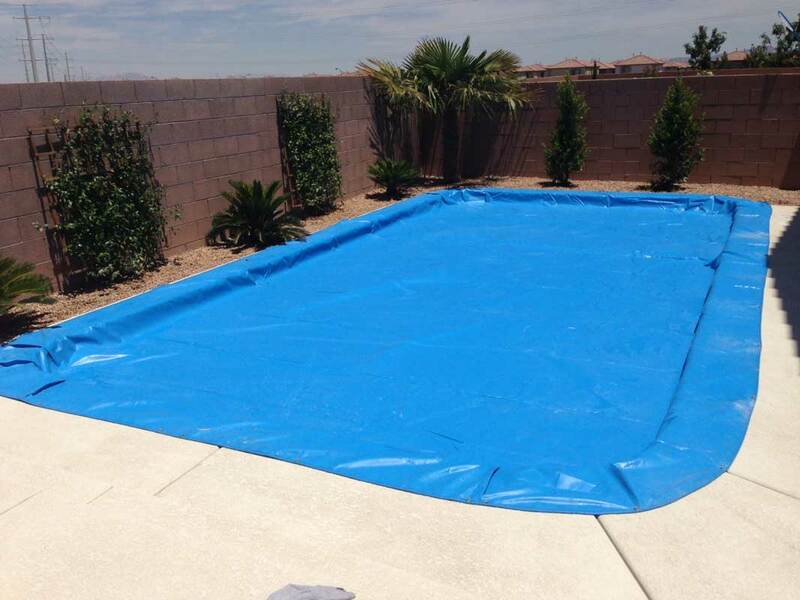 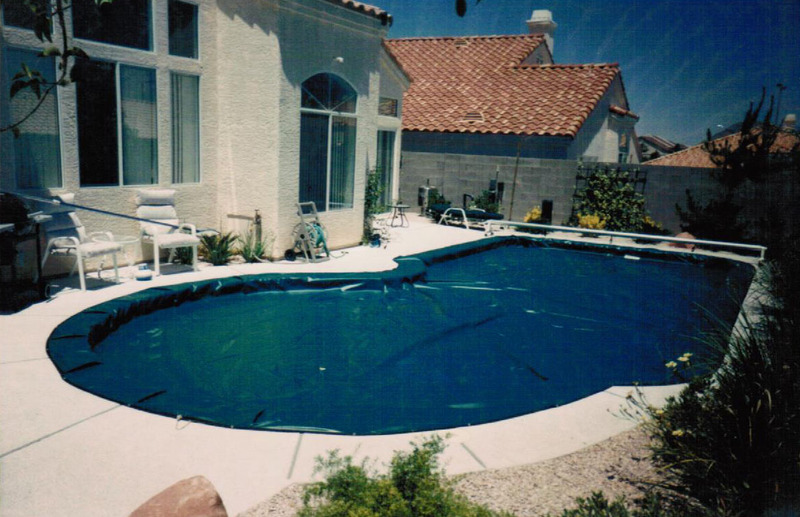 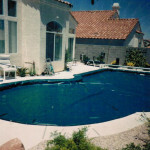 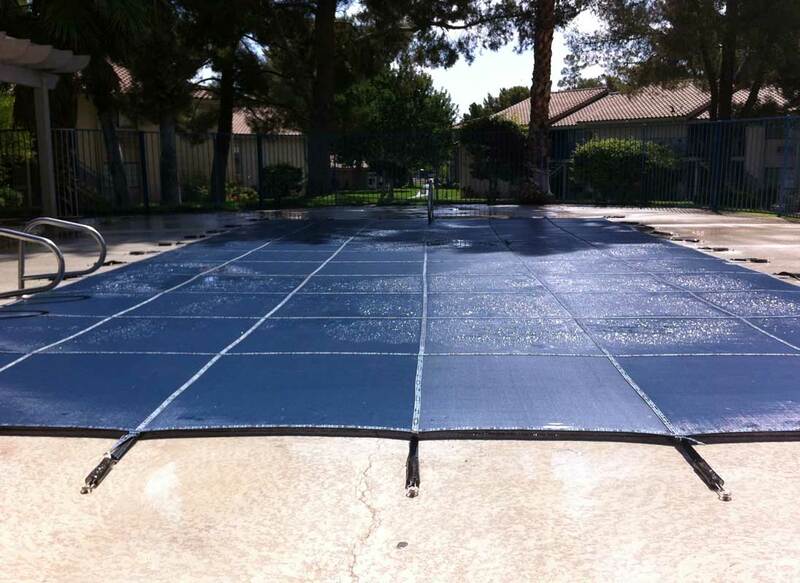 Most pool covers use a coated vinyl, leaving thin areas that create a greater risk to water exposure. 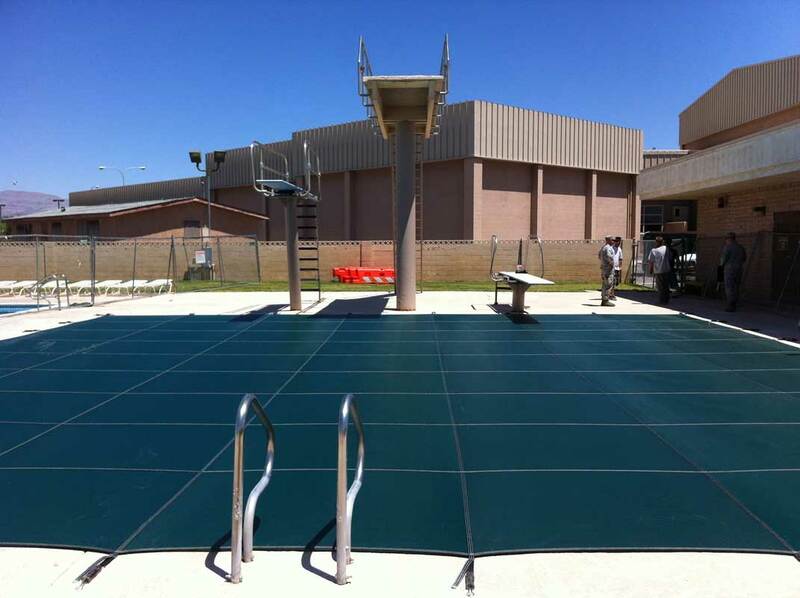 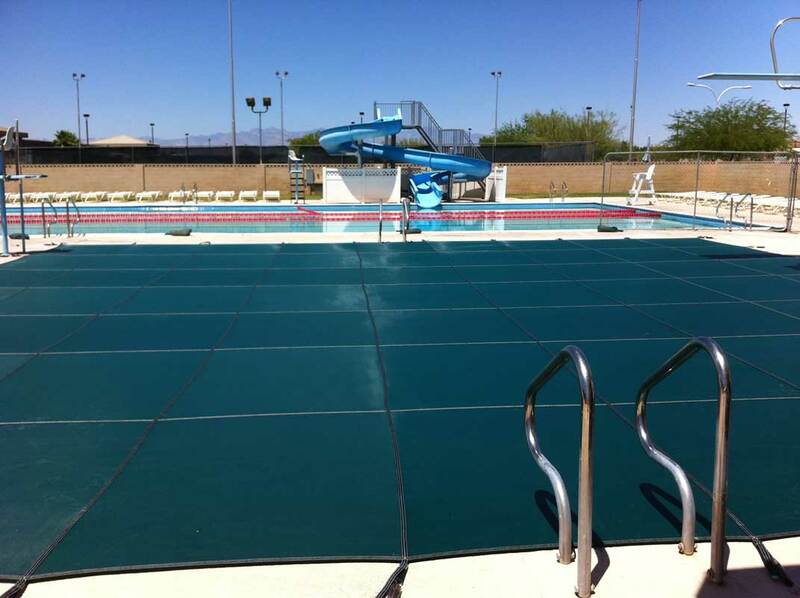 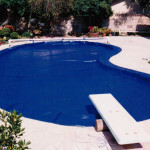 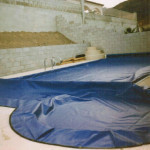 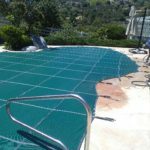 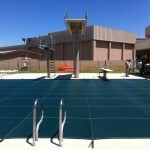 Cover-Pools exclusive laminated vinyl is composed of two equal layers of vinyl evenly protecting the cover from exposure. 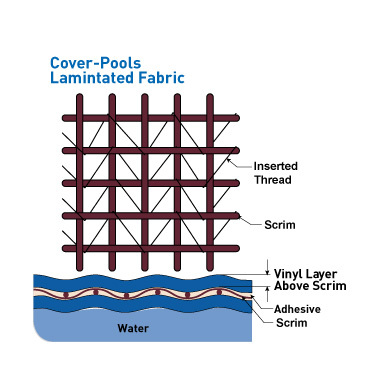 Our premium Quad-core™ fabric is offered in eleven standard colors. 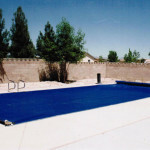 Please see actual fabric sample when making color choice; colors may vary.